So for this mixture I use Coconut Oil, Lime infused Almond Oil, Glycerin, Peppermint Essential Oil and a few capsules of Vitamin E Oil. My moisturizer is creamy and rich so a little of this goes as LONG way (I use it sparingly). It seeps into the skin but I like to make sure it has all been absorbed by my skin before I put on my clothes because it can sometimes stain clothes. I use this for my body and face. Coconut Oil can improve the moisture and lipid content of the skin. When used to moisturize the skin it keeps it looking supple and soft without having to keep reapplying it over the day. Coconut oil is packed with antioxidants, along with the medium chain fatty acids that actually help build cells rather than destroy them, which means younger looking skin! So using coconut oil regularly helps build and repair skin slowing down the development of wrinkles. Almond oil is rich in vitamins A, B, D, and E. It has been used to improve the skins complexion and its emollient properties soften the skin. Almond oil is quickly absorb into the skin and has healing and hydrating properties. Another good reason to use it around the eyes it that with regular use it can even out skin tones. I infuse the oil with lemon peel because the essence of the lemon peel helps with my oily skin and lemons are known to help clear up uneven skin tones. Glycerin, is a natural humectant that draws moisture onto the skin by extracting it out of the air. Apart from its ability to draw in moisture, it is also known to help retain moisture in the skin. It is an excellent skin plumping product that helps reduce the appearance of wrinkles and aging. Glycerin is a think and sticky oil and it is best to use a little of it at a time. Peppermint Essential oil is used for its fragrance as well as it soothing effects. It mixes really well with the coconut oil and lime peel scent! Vitamin E oil is an excellent moisturizer that contains powerful anti-inflammatory properties that can prevent the early onset of premature gaining. The oil is also known to help fade scares and stretch marks if used consistently and frequently. Vitamin E Oil is thick (similar to Glycerin) and should be used sparingly so that it does not clog up the skins pores. IMPORTANT! If you have allergies to any of the ingredients I use DO NOT use them! I am not a Doctor, Physician nor a Cosmetologist. I am just providing information for educational purposes and any use thereof is solely at your own risk. The information contained herein is not intended to be a substitute for professional medical advice, diagnosis or treatment in any manner. Always seek the advice of your physician or other qualified health provider with any questions you may have regarding any medical condition. Once you have done that, do patch tests before you put anything all over your face/body. Please consider this as my advice. You are responsible if you choose to follow some of my methods. 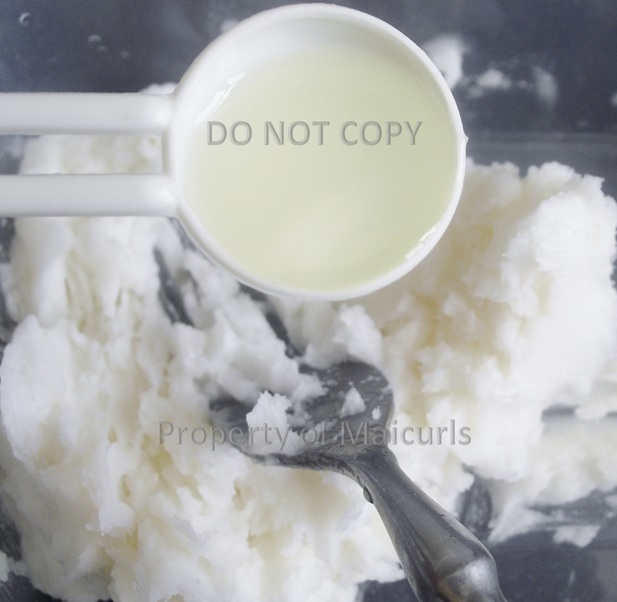 I start off with semi-solid Coconut Oil (do not melt it down because it will only work if it is semi solid). If you live in warm climate the Oil might start to melt on its own (happens to mine) so I stick it in the fridge and then take it out. Continue whipping until everything has combined into a light cream-like mixture (if necessary stick it back in the fridge and keep whipping) and then place in a clean and disinfected container. I store mine in the fridge simply because my house it too warm for it to stay in a cream-like state. 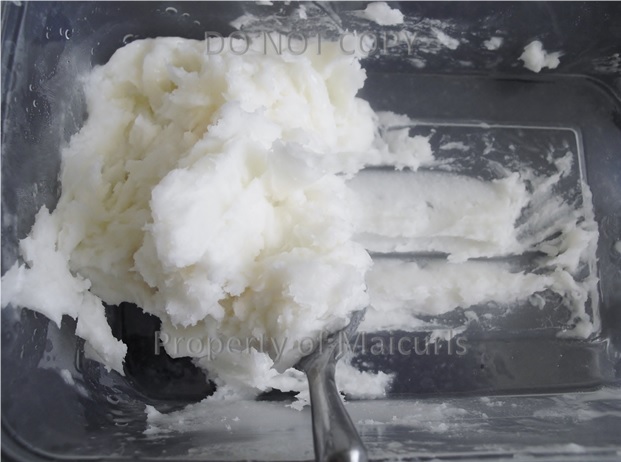 *The Coconut Oil needs to be whipped with a whisk for it to turn into a cream! I use this as I would any other cream, just taking a little in my hands and rubbing it over my skin. I usually use this at night. It is moisturizing enough to last me till the next evening! IF I do use it during the day, I apply it after I shower and wait till it completely seeps into my skin before getting ready to go out. Additional: You can use plain Coconut Oil (without any other ingredient) as a cream and make it a cream by whipping it up. What do you use to moisturize your face and body? The reason I’m visiting your blog today is because I remembered you had such a great skin care routine and I wanted to know what you moisturised with. This recipe looks great, and you even give it such a cute packaging. I truly feel that my face can not handle oils very well, and my face is prone to all sorts of issues (currently treating dermatitis :/). It’s even too sensitive to use the simplest of products. You’ve inspired me to find a recipe that may work for me 😀 Cheers! I honestly keep everything really simple. 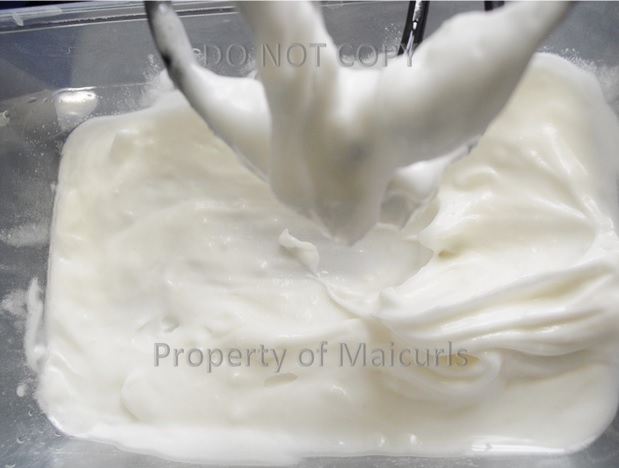 I switch between moisturizers but I have been using this as my moisturizer for a while now: https://maicurls.com/2016/10/07/diy-liquid-gold-serum-for-skin-scalp-hair/. You can always skip on some of the oils I use, use less or just stick to using one oil. Hope that helps!